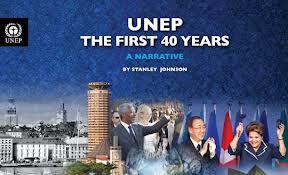 Today I saw that my friend Stanley Johnson has a new book out 'UNEP - The First 40 years' to coincide with the first meeting of UNEP as a universal membership organization in Gigiri just outside Nairobi. Stanley is an Ambassador for the Convention on Migratory Species and I have at least two other books of his on my shelf. I have to say my favorite is 'Stanley I Presume?' 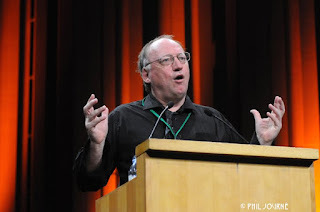 a wonderful tour de force of his life from travelling from London to Afghanistan on a motor bike to his time in the European Union as an MEP and as a civil servant, and association with the Rockefeller Commission on Population, but I digress. In all the meetings around Rio+20 last year there perhaps wasn't enough time to look at UNEP at 40 and see what it had achieved. 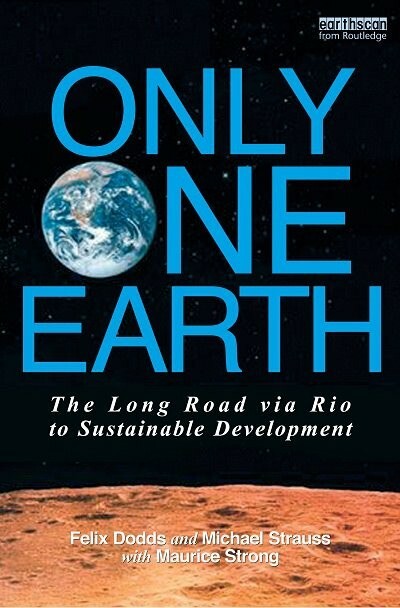 This book goes someway to giving a wider audience the chance to read and appreciate what it has achieved and what challenges it faced and is still facing in trying to be the environmental consensus for the world. This book is very well worth getting hold of. 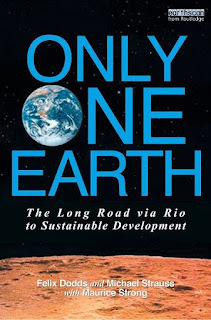 A little from what I, Michael Strauss with Maurice Strong wrote about the creation of UNEP in Only One Planet - The Long Road via Rio to Sustainable Development (Earthscan, 2012). In what was the first intergovernmental organization set up to address the environment in 1972 it is interesting to note that the new programme was kept weak by a group of European countries including: Britain, the US, Germany, Italy, Belgium, the Netherlands and France. The group was concerned that any new environmental regulations would have an impact on trade. They also wanted to ensure that UNEP did not have a large budget as it would then be restricted on what it could do. "new and expensive international organization must be avoided, but a small effective central coordinating mechanism ... would not be welcome but is probably inevitable". The new UNEP was empowered to investigate problems and recommend strategies to solve them, but it was not authorized to implement those strategies on the ground. It was empowered to research, but not to implement any of the actions with programmes on the ground. While other UN bodies – such as the United Nations Development Programme (UNDP) – were set up precisely for project design and implementation, UNEP was expressly limited from providing services. Although UNEP carried the word ‘programme’ in its name, it was not established as a UN programme-level agency. 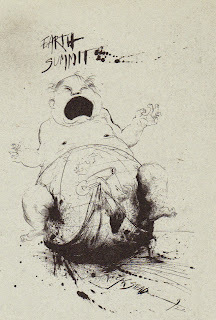 But in international policy, 1972 was a time of transition. The era of colonialism had just ended with the establishment of newly independent nations in Africa, Asia and the Pacific in the 1950s and 60s. There was intense competition between the US and the Soviet Union to win diplomatic support from those nations. 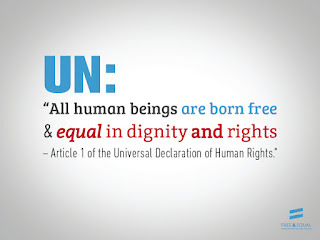 For those countries – and for the emerging political bloc of the Third World, or ‘non-aligned’ movement (NAM) – it had become a point of contention that all of the major UN agencies were based in Northern-hemisphere, developed nations. The previous year UNIDO was created and was established in Vienna. So it was widely agreed that the new organization should be housed in a developing country. The two developing countries that wanted to host were India and Kenya. Despite the consensus, many developed countries were worried about the choice of Kenya. It was distant from other intergovernmental organizations that it needed to work with and the telecommunications system into and within Nairobi was notoriously inefficient. Other concerns included the ability to attract qualified staff and basic questions of personal security. These were complex matters that needed to be addressed, but even mentioning such issues risked touching on deep regional sensitivities. Partly because of his reputation for solving logistical and political challenges, Maurice Strong was approached to be the new organization’s first Executive Director. Prime Minister Pierre Elliott Trudeau of Canada agreed to let Strong be the Executive Director for one term to get UNEP running, as opposed to returning to head CIDA. One of the first things UNEP did was to establish an outer limits program which looked at global risks that needed to be addressed. One of the first to be addressed was in 1973 climate change. UNEP brought together a meeting of scientists to review the evidence on the issue this gave UNEP an early leadership role on the issue. In 1975, Maurice Strong resigned to become CEO of Petro-Canada. UNEP’s Deputy Director, Mustapha Tolba, a biologist who’d led Egypt’s delegation to Stockholm, was appointed to succeed Strong. He served until 1992, playing a critical leadership role in creating a landscape of multilateral environmental agreements. It is interesting to reflect that 40 years on it was some of the same governments that wanted to keep UNEP weak during the Rio+20 process now wanted to see it raised to the status of a World Environmental Organization.